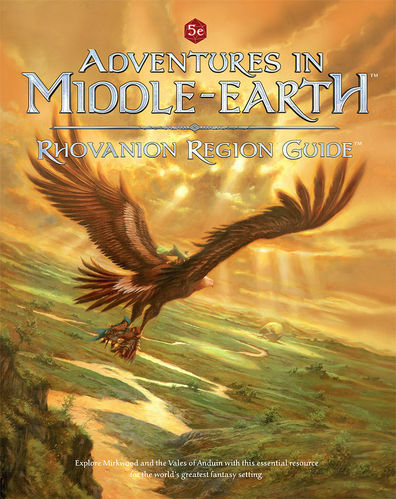 The Rhovanion Region Guide is an invaluable resource for Adventures in Middle-earth further describing the lands of the River and the Forest � the rolling Vales of Anduin and the trackless forest of Mirkwood. It expands on the descriptions given in the core Guides, offering new sanctuaries and new perils for Player-heroes to discover. Written by Gareth Ryder-Hanrahan, Francesco Nepitello and Jacob Rodgers. Full colour, 144 pages, hardcover.